Mickey Mouse is about to go HAM on a new ABC special. 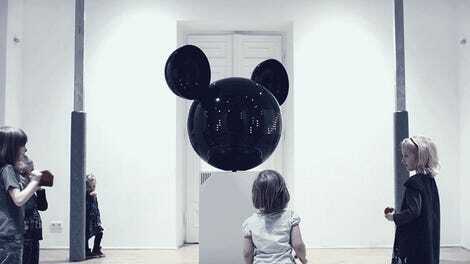 This is Mickey Mouse like you’ve never seen him before. 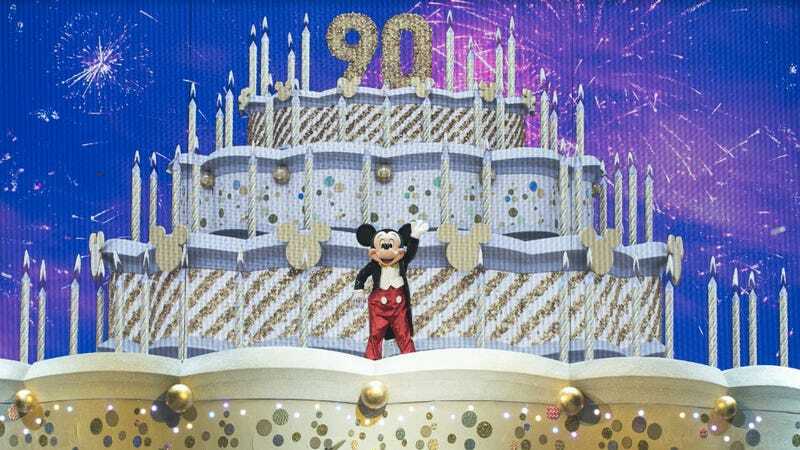 This Sunday night on ABC, Disney will air Mickey’s 90th Spectacular, a live-to-tape celebration of 90 years of Mickey Mouse. I attended the taping and while the show is mostly just a pleasant collection of history, songs, memories, and jokes, there are a few moments that really stood out. Moments where Mickey Mouse gets to do some really funny, weird stuff. For example, here are some photos of Mickey Mouse rocking out on a gigantic drum set to “Friend Like Me” from Aladdin. The sight of Mickey Mouse playing a double bass is almost too much to process. And here are some photos of Mickey dancing like he’s part of the K-Pop group NCT 127. The only thing more jarring than Mickey playing the drums is Mickey doing a synchronized dance with a K-Pop group. And here are some images of Mickey and Minnie slow dancing in smoke to “Colors of the Wind” from Pocahontas, as performed by Tori Kelly. Now, a romantic dance with Minnie seems a bit more in line with Mickey’s rep, but it’s still a strong visual. Moments like those felt both completely out of character for the iconic character, but also completely believable. That’s because Mickey Mouse means so much to so many—it’s only right that on a Sunday night in November, he gets a few hours of primetime to himself. The show airs at 8:00 p.m. on November 4 on ABC. Mickey Mouse Spotted On Mercury!